Activated charcoal made from real charcoaled coconut shells is combined with pure cocoa to bring you a new bold and rich spin on lattes and frappes. The best tasting mochas and tea lattes start with the best quality ingredients. 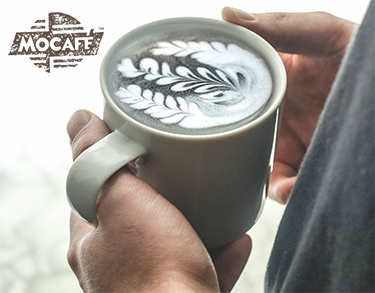 MOCAFE™ uses only the purest cocoas, coffee, and estate grown teas to produce the most delicious, high quality hot mochas, blended ice coffees, and Chai teas found anywhere in the world. Activated charcoal promotes a healthy digestive tract by absorbing and helping the body expel certain toxins. Pesticides from ingested foods, chemicals in consumed liquids, or any number of unwanted substances unintentionally consumed on a daily basis can be collected by activated charcoal and removed from the body safely. MOCAFE™ Charcoal Mocha Mix harnesses the health benefits of charcoal used in beauty regimens and healthcare applications in this deliciously indulgent blend - making this detoxifying agent approachable and accessible. Dissolve 2 Scoops of MOCAFE™ Charcoal Mocha Mix in 6 oz. of hot water. Add 8 oz. of steamed milk. Mix well and enjoy! In a blender, add 6 oz. of milk and 2 scoops of MOCAFE™ Charcoal Mocha Mix. Add 12 oz. of ice. Blend until smooth. Optional – Top with whipped cream. 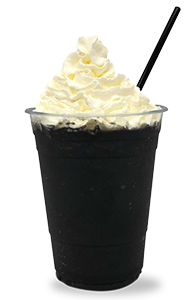 BEST PRACTICE: WHEN PREPARING DRINKS WITH ACTIVATED CHARCOAL, USE REAL MILK ONLY. Because of charcoal’s porous and absorbent nature, it may inhibit the body’s ability to take in or digest chemical medications. Therefore, Mocafe recommends that individuals taking medications consult a pharmacist or health care provider before consuming charcoal. However activated charcoal will not interfere with the body’s absorption of vitamins, minerals or nutrition from natural foods. 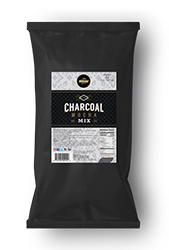 Likewise the body’s absorption of naturally derived supplements will not be affected by charcoal. (Although, if the supplements are synthetic, charcoal might react with them.) When mixed with dairy, charcoal’s potency and ability to interfere with certain medications is significantly reduced.